You’re a retail marketer. You know that shopping is no longer about bricks versus clicks or one channel versus another. Consumers are channel-agnostic. The shopping journey and pre-shopping research is a fluid process with consumers bouncing between online, offline, mobile, review sites, and Godknowswhereelse along the path to purchase. But digital is key for all aspects, channels, and experiences. Deloitte found that digital interactions influence 56 cents of every dollar spent in bricks-and-mortar stores. And if that’s not compelling enough, those multi-channel, cross-channel shoppers who visit your Facebook, website, app, and physical store spend more than double those who only shop on one channel. TL;DR: A seamless shopping experience is no longer a nice to have, but a must. And it is a key reason why retailers worldwide are heavily investing in online and digital engagement strategies like live chat for ecommerce. As a retail marketer or ecommerce professional, you know your digital channels better than anyone else in your organisation. And since those channels account for 56 cents of every dollar (or pound) you earn, you know you need them to function flawlessly for this high season and beyond. 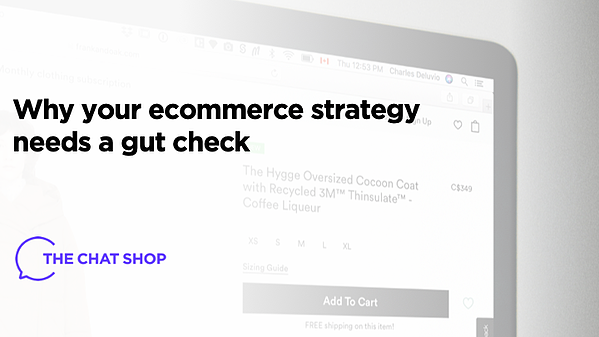 If you’re not happy with your site, platform, or online or in-app ecommerce conversion rate this high season, you need to begin planning a new strategy to increase ecommerce conversion. Don’t overthink. A key part of your digital capabilities is the capacity for easy conversion at the high season. I mean, let’s face it: If you aren’t delivering sales across all your channels, why are you in your job? Gut-check your capabilities. Facilitate a 10x higher conversion rate this Christmas. Find out how you can open up one more sales channel in-app and online to deliver stellar holiday results. Buck the doom and gloom retail news. Find out how we’ve helped brands like yours achieve a 10x higher conversion rate. Watch the FLOS USA case study video.